Best Days: Late Fri/Sat: small new swell on the Mid. 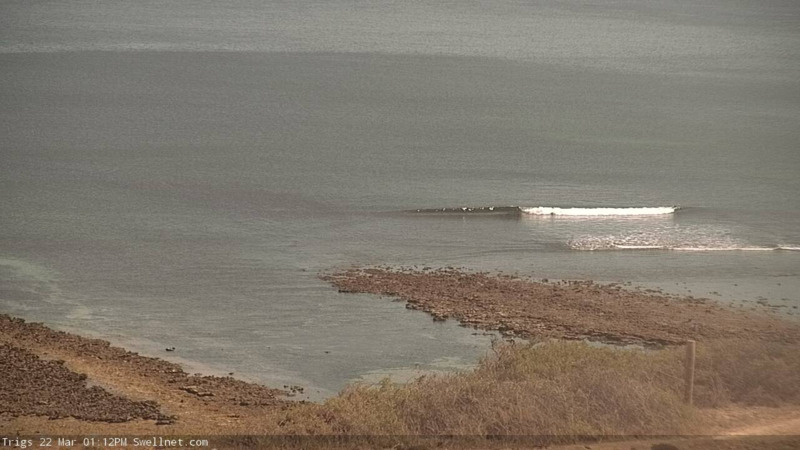 Sat/Sun: improving conditions at Victor with light cross-off tending offshore winds, though only small swell. Mon: stormy on the Mid, possible small choppy surf on the metro beaches. 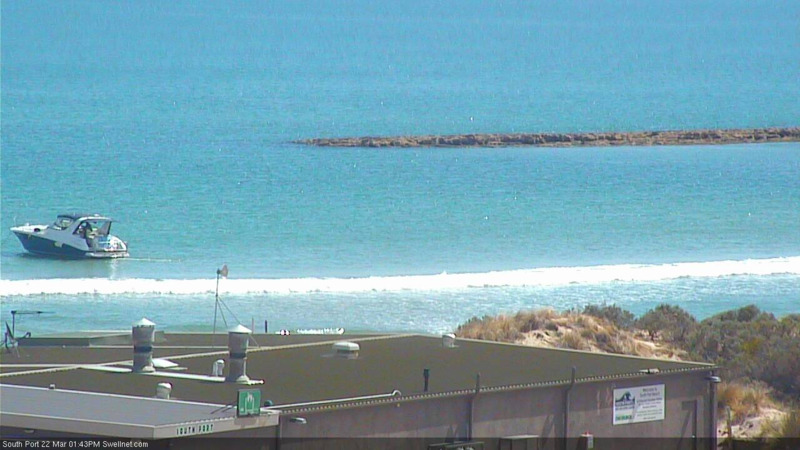 Tues/Wed/Thurs: rapidly improving conditions but easing swells. Should be plenty of fun waves at both coasts. Recap: Monday’s small late pulse of swell faded through Tuesday - a little more than expected - and has remained tiny across the Mid Coast today. There’s been more size at Victor and morning winds have been generally workable but the afternoons have seen freshening onshores and deteriorating surf conditions. No major changes for the rest of the week. We’re looking at small residual swells on Thursday and early Friday (tiny on the Mid, 2ft+ at Middleton) ahead of a new swell building through Friday that should provide some fun waves along the Mid Coast for the afternoon session. This swell was generated by a series of strong fronts SW of WA on Sunday and Monday, and although positioned along way from the swell window, was reasonably aimed for the Mid Coast so it's expected to kick up some nice waves for the afternoon session (local winds pending, of course). There’ll be very long breaks between waves, but we should see a reasonable percentage of sets in the 2ft range into the afternoon, and some of the more reliable reefs should manage the occasional 2-3ft set too (though they’ll be much harder to come by). At this stage we may see an afternoon sea breeze but it’s not expect to have too much strength. Friday’s new swell is a little less favourably aligned for the South Coast so we won’t see as much of a notable increase here, and winds will be onshore anyway so it doesn’t matter too much. Our current blocking pattern will break down over the coming days, leading to a wind swing to the west on Saturday as a trough pushes across the region. Friday’s late peak in swell will ease through Saturday but there should be small waves along the Mid Coast for the grommets. We’ll see a solid improvement in conditions at Victor as winds are steered locally to the W/NW but it may take another day to properly clean up from the previous few days of onshores. There'll be options though. A series of vigorous weather systems approaching the state this weekend are not expected to impact the coast until Monday, so Sunday will likely see small residual swells and lighter W’ly winds becoming variable under a pre-frontal trough. There is a chance for some small SW swell from the first front in the progression (rearing up under WA late Fri/Sat), but it won’t reach the coast until very late Sunday at the earliest. Let’s have a closer look on Friday. We’ve got one heck of a complex, powerful weather progression expected to push through our immediate swell window from Saturday through Wednesday (see chart below, for Sunday). Most of the groundswell generated over the weekend further out in our swell window (beneath the continent) will arrive concurrently with the primary front/low above, which itself will be generating a large local swell - so expect a noisy mix of windy swells that could reach 6-8ft+ across the South Coast. The Mid Coast looks like it’ll receive a good round of stormy surf on Monday with gusty SW winds and a mix of swells pushing 3-4ft+. There'll posisbly be a few small choppy waves across the metro beaches if the onshore holds above 25kts through the entire day. Winds and swells will ease steadily through Tuesday, and we’re then looking at a period of light winds for the following days as a large high moves in from the west. There’ll be a couple of days of fun waves on the Mid next week following Monday’s blow. And Victor should be good mid-week with smaller swells and lighter NE winds through the mornings. Beyond this, the next round of strong fronts are due sometime around the following Friday or Saturday. 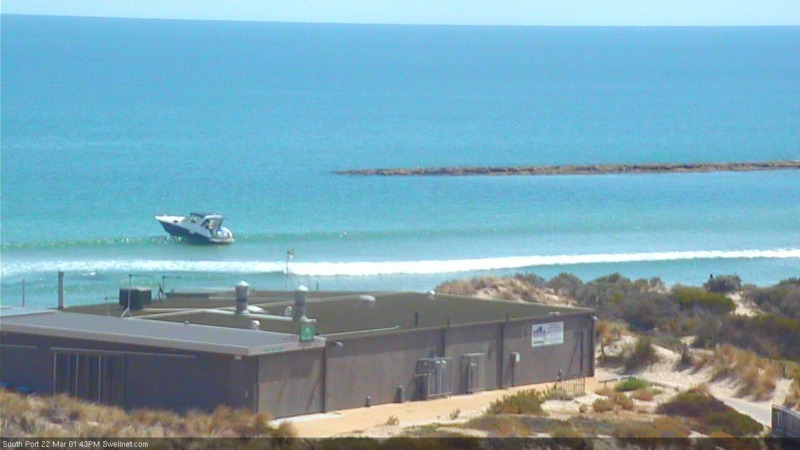 Old mate in an expensive boat nearly caught out by a horrie 1ft set as the new swell starts to fill in.